Cheating the local truck scale can be a big business. In a recent case, cheaters defrauded a major international agribusiness company of $2 million. The scheme involved a scale operator working with suppliers to create bogus tickets for grain shipments that were never made. Taking some load off the weighbridge: Trucks buying goods by weight. By positioning the back axle off the scale, a portion of the truck to remains off the weighbridge, dramatically lowering its weight and the amount paid for goods. Adding some load to the weighbridge: Trucks selling goods by weight. 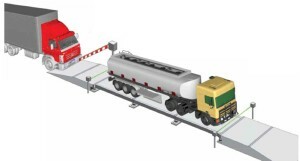 In this scenario, a truck driver is working with a partner in a 2nd truck who is placing his front tires on the scale, creating extra weight on the weighbridge, and increasing the weight and amount paid for those goods. Cheaters have become increasingly sophisticated and hard to detect, and electronic devices are available to give a truck driver or scale operator remote control manipulation of a scale’s weight reading. 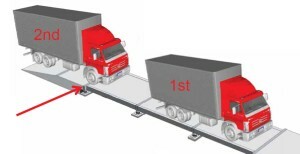 These are a few basic truck scale fraud techniques, however, they are possible to prevent or catch early, by utilizing the proper systems and technology specifically designed to thwart this type of fraud. 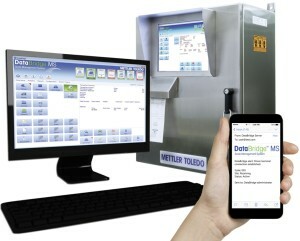 In fact, METTLER TOLEDO DataBridge™ soft-ware was built with fraud prevention in mind, and contains built-in security features that protect your profits, and only capturers a weight reading from the weighbridge when photo eyes are unobstructed and the entrance gate is down. To protect against “scale operator fraud” DataBridge™ MS software assigns passwords and defining roles to users. This means managers can limit access so that only authorized personnel can use the application to set prices and process transactions. The audit log saves a permanent re-cord of all transactions and changes. The printing log tracks how many times tickets are reprinted. The tare history identifies unauthorized changes to vehicle tare weights. To catch cheaters using electronic manipulation of a scales weight reading, DataBridge™ MS software uses a weight curve. The software records a series of weight readings and uses them to plot a graph of vehicle weight throughout the transaction. If a driver or scale operator manipulates the weight electronically, the weight curve will show a spike up or down to detect the sudden weight change. In preventing fraud from unattended scales that have no scale operator to keep them honest, DataBridge™ MS software can use cameras to take photographs of a truck at various stages of a transaction. The photographs show whether or not a driver has positioned a truck properly. 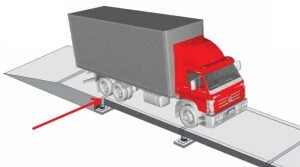 Traffic loops and photo-eye sensors work with gates to regulate how trucks are positioned on a scale. The unattended software also has a feature that automatically aborts a transaction if a second truck drives over a traffic loop while a transaction is in progress. Unfortunately, truck scale cheating and fraud is a reality across all industries. 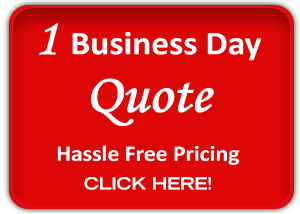 However, it is imperative for companies to take the proper precautions to protect their profits. If you would like more information about how the METTLER TOLEDO DataBridge™ MS software can be used to protect your profits from truck scale fraud, contact a TOLEDO CAROLINA representative today.